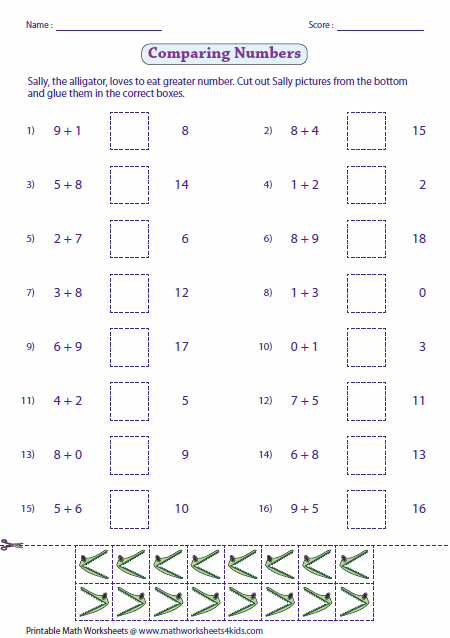 Single-digit addition worksheets contain standard addition drills, addition with more addends in either vertical or horizontal form, color by addition, addition tree, cut-glue activity based on comparing sums, matching equivalent addition equations, word problems and more. 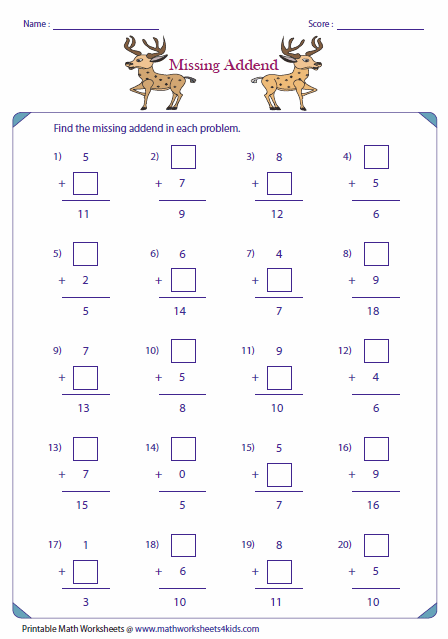 It contains standard addition worksheets with two word problems at the end of each worksheet. Practice makes perfect. 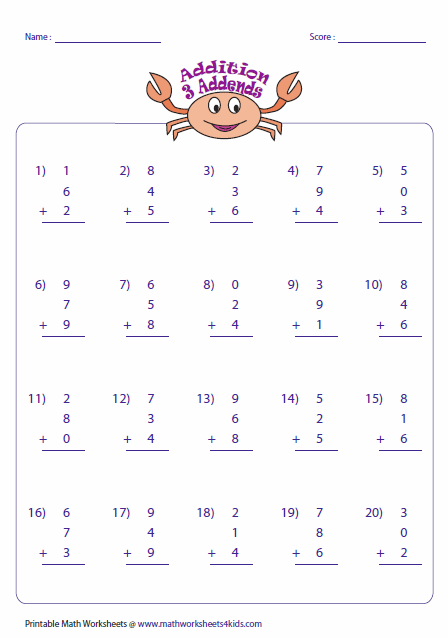 Use these column addition drills to practice single-digit addition. In this section, the addends are arranged horizontally in each problem. 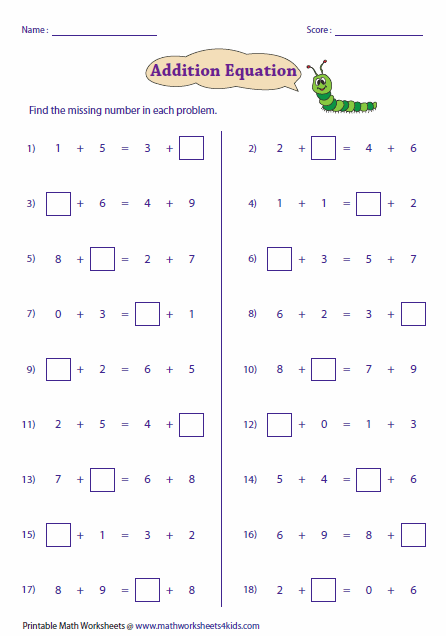 These simple addition worksheets include single-digit numbers arranged in a both vertical and horizontal form. Add the numbers to find the sum. Color the picture based on the color guide. Identify the mystery picture. 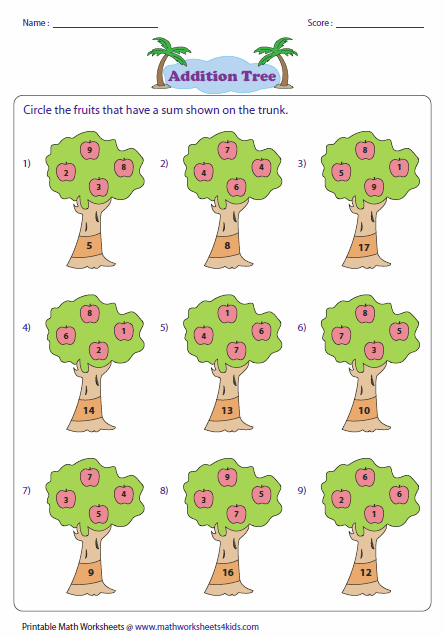 Circle the fruits on each tree that have the sum shown on the trunk. Match the single-digit addition sentence on the left to the equivalent addition sentence on the right. 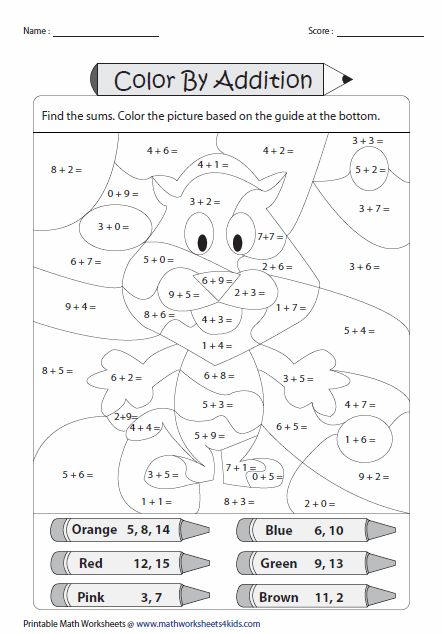 Each worksheet has unique theme. You have one of the addends and the sum. Find the missing addend that makes the sum. Find out the number that makes the addition equation true in each problem. Caterpillar themes are used. Compare the addition sentence and glue the correct picture on the box. Unique theme is used in each worksheet. 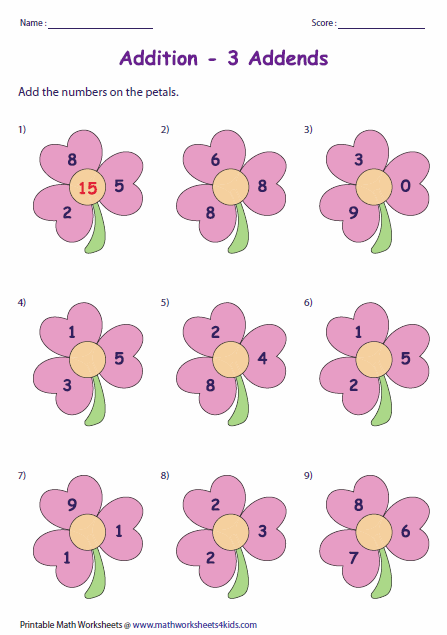 Add the single-digit numbers on the petals. Write the answer at the center of each flower. 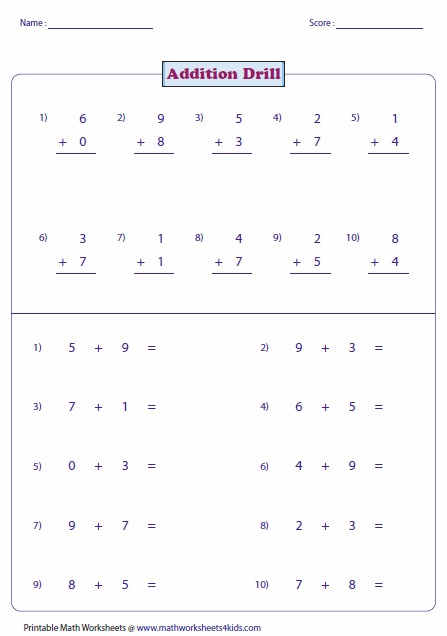 This section contains single-digit column addition with more than two addends. 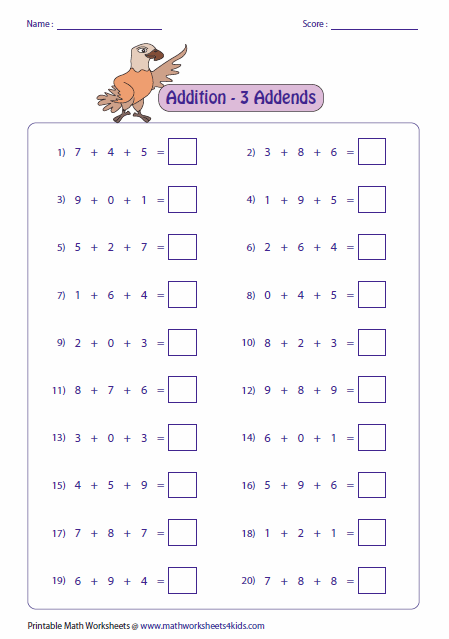 Horizontal addition worksheets contain problems based on standard single-digit addition with 3, 4 and 5 addends.